Drawing a ball of yarn is probably one of the simplest drawing tasks you can ever do, but it can also be a great learning challenge for the beginning artist. This is because drawing a ball of yarn utilizes two important concepts in art: shapes and textures. By drawing a ball of yarn, you're teaching yourself how to combine these two drawing elements to create something identifiable. This type of drawing exercise is popular with art teachers for this reason. Draw a circle on your paper. You don't need to worry about how perfect the circle is for a ball of yarn. If you look at an actual ball of yarn, you will see that the yarn itself disrupts the shape of the circle, making it less than perfect. Place your pencil anywhere on your paper and turn your paper without lifting the pencil. Try to turn the paper in a complete rotation with as little hand movement as possible. This gives you a perfect circle, except for a few jagged edges caused by the stop and go movement of your hand. Color the circle with your pencil. Apply the coloring by moving the pencil lead at an angle inside the circle, back and forth. Don't worry about getting the coloring even. The random lines and shading will simply add depth to support the texture you're going to add. Draw the lines representing the yarn. 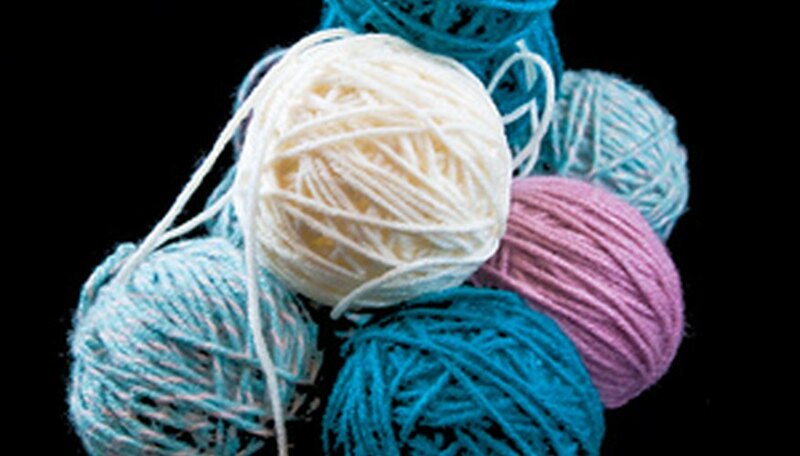 When you look at a ball of yarn, you'll see the yarn itself is wrapped into a ball by criss-crossing the yarn. this is how you want to apply lines on your circle. Use cross-hatching (criss-crossing lines) until the circle becomes filled. Don't worry about going outside the circle perimeter too much. This will only enhance the effect of the yarn ball, mimicking the strands of yarn that can be seen hanging from a real ball of yarn. Cross hatch freely, layering your darker lines until you've created the surface texture of your ball of yarn.